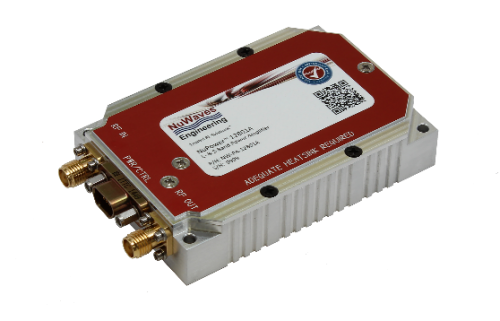 The NuPower™ 12A01A L- & S-Band Power Amplifier is a small, highly efficient solid-state power amplifier module that provides 4 watts of linear RF power to boost performance of data links and transmitters. 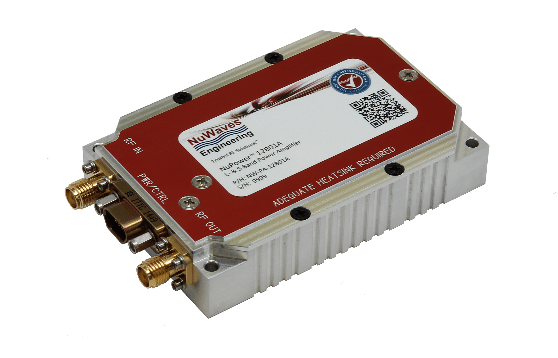 Based on the latest gallium nitride (GaN) technology, this broadband linear RF power amplifier provides greater than 20% power efficiency and has a 3.9 in3 form factor whih make it ideal for size, weight, and power-constrained broadband RF telemetry and tactical communication systems. The NuPower 12A01A power amplifier accepts a nominal 0 dBm RF input and provides 36 dB of gain from 1000 MHz to 2500 MHz.